DISCLAIMER: The following tutorial is for educational purposes only, and should only be used to rip DVD’s that you own the rights to reproduce. 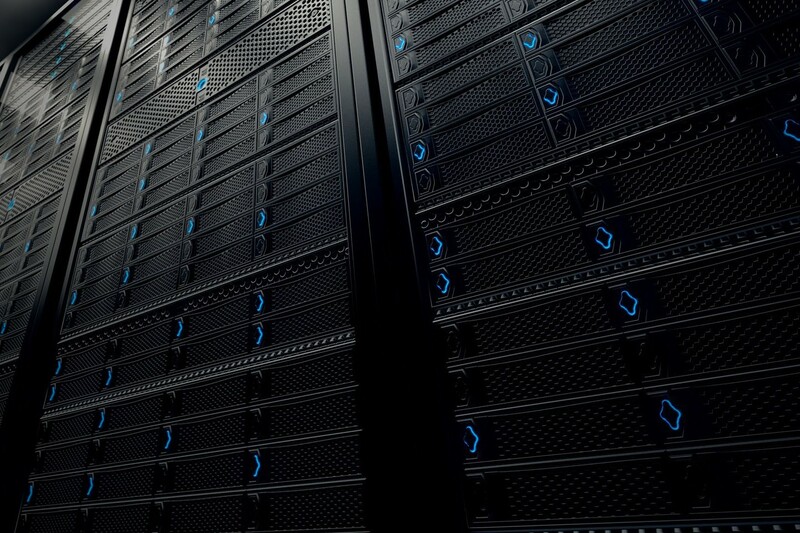 Some countries allow media to be ripped for ‘backup purposes’. You should check all local laws to avoid infringing the rights of copyright owners. I take no responsibility for any legal action against anyone caught infringing any laws. Now that we’ve got that out of the way, lets get started. There is nothing stopping you using UNIX to rips DVDs, but the steps and programs will be different. I have just chosen to use Windows for this tutorial. A DVD that can be played in any normal DVD player. A basic understanding of how to use Windows. This is essential. No Zombies or Idiots please. Or on another machine to download the required applications. For XBMC you will need internet access to download the required meta data and cover art. A selection of free open source software, detailed later on. To start off, we need to get the required software. To rip DVD’s, I’m using the famous DVD Decrypter. Purely because it’s the only bit of software I’ve found that does the job you want, without loads of bloatware. You can find information and a download link here. The current and final version, is 3.5.4.0. It’s supported on most recent Windows operating systems. At the time of writing, I’m running it on Windows 7 Home Premium 64-bit. But I’ve used it on both Windows XP 32-bit, and Windows Server 2008 R2 Standard 64-bit, without any problems. The logic behind the program is simple. 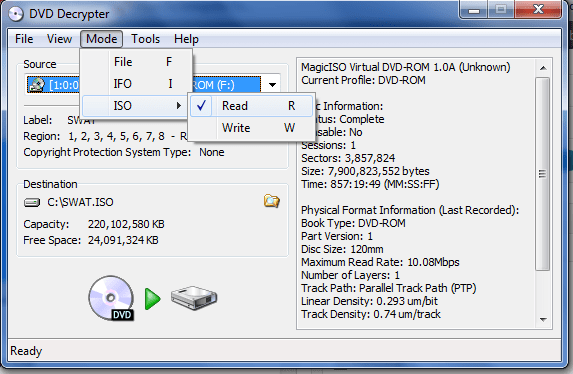 It creates an image of the DVD, which it then saves into an image file (more commonly known as an ISO or .iso file). This is a pure clone of the content on the DVD, which is great for those family films, that have the lovely DVD menus. These will still work within XBMC as everything is included in the image. Some people may prefer to strip the DVD down to a single file, such as an .mp4 or .avi. This is possible with a program called Handbrake, but you lose the extras on the disc, so I’ve decided against going into detail about it. You can however, download it for free here. It’s also good for converting DVD’s into a format suitable for iPhone or iPad, but I’ll go into that in another post. 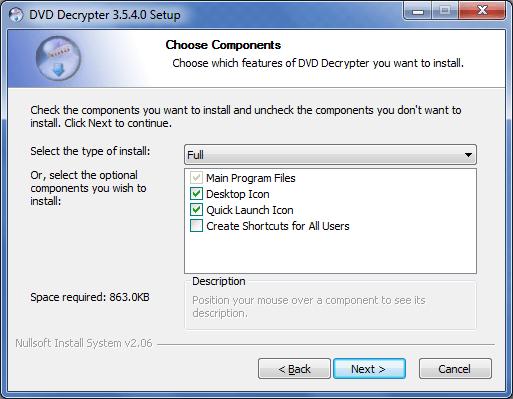 Back on topic, once you’ve downloaded DVD Decrypter, we need to install it. Step 1:Double click on the .exe file to launch setup, and click Yes to any warnings from Windows asking you if you really want to run the program. Step 1 - Click Yes to these warnings. Step 2: You can have a quick read, and click ‘Next’ on this step. Step 3: We want the full installation, which should be already selected. You can also choose to setup icons for all users. This is only really necessary if you have multiple users wanting to use this program. Step 3: We need a Full installation. Step 4: You need to decide where to install this application. 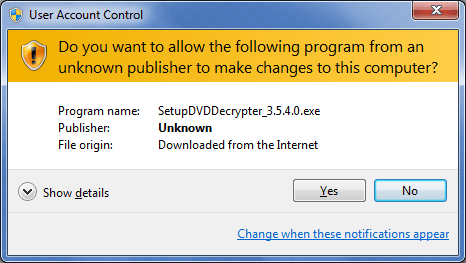 The usual ‘C:\Program Files\DVD Decrypter’ should be fine (‘C:\Program Files (x86)\DVD Decrypter’ for those running 64-bit Windows). Step 5: Finish the Installation. DVD Decrypter should then load. You will notice from the dropdown box, that you can select the source. Step 6: Select the ‘Source’. This needs to be the DVD Drive that you want to copy from. If you only have one DVD drive, this will be the only option, so you can leave this alone. After a few seconds, you should notice the name of the DVD appear (if it has one). In my case, this is called ‘SWAT’. You will also see the regions that this DVD can be played in. Normally, for home recorded movies, this will be the same as mine. Some DVD’s (mostly commerical ones bought in the shop) are region encoded, which means they only play in certain countries. Step 7: Change to image mode. At the moment DVD Decrypter is set to output the contents of the DVD to a folder. We want an image (.iso) file instead of a folder to keep everything together. Step 7: Select from the ‘Mode’ menu ‘ISO’ > ‘Read’. Next, you need to select the folder to output the ISO to. In this case I’ve chosen ‘C:\’, but to make it easy you should choose your desktop. Step 8: Press the folder icon on the right side of the ‘Destination’ box to change output folders. Step 9: Press the ‘DVD to Disk’ button, which will save the file to the selected output destination. Step 10: All done! The image file can then be moved to wherever your XBMC library is. If your library is set to automatically scan for changes, the DVD should be picked up automatically. It will also import any data that it can find about the DVD on the internet. Image files can also be used to create copies of the disk. You can use any ISO or image burning software to burn this image file back to another disk. This is really handy if you want to share those classic home videos! For a great free tool to burn images to disk, check out imgburn. If you have any questions, feel free to use the comments section below. Enjoy!